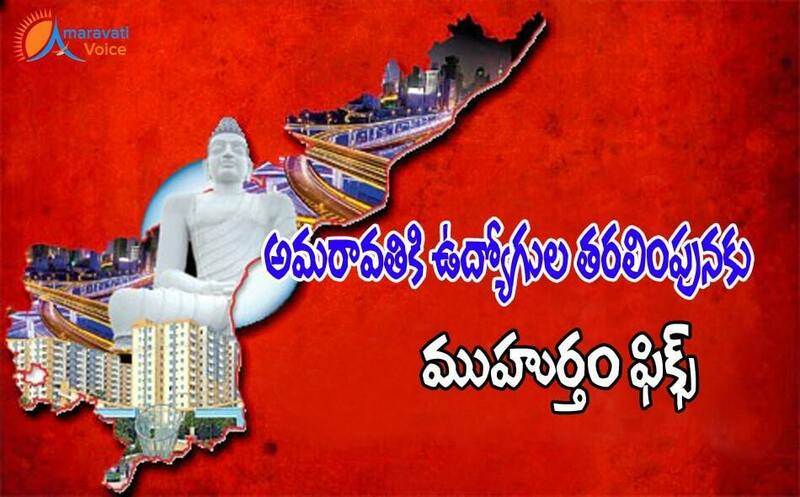 The date has been set for shifting the Andhra Pradesh secretariat employees from Hyderabad to Amaravati to the new transitional headquarters. Government has decided that June 27th is a auspicious day. Though earlier it thought of shifting on June 15th, now the date is revised. Government is confident that, by then the G+1 construction would be completed and the employees can start working from here. Approx. 12000 employees are working in Hyderabad and 90% are expected to come by June 27th. Already Chief Minister has accepted for the demands of 30% HRA and 5 day week.